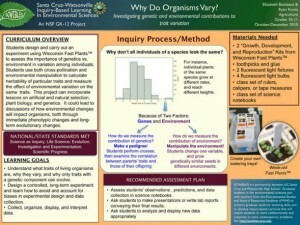 In this mini-activity, students measure the masses of specific numbers of beans and graph their data. 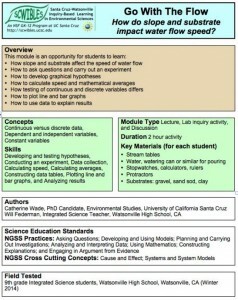 From their graph they determine a linear model equation. 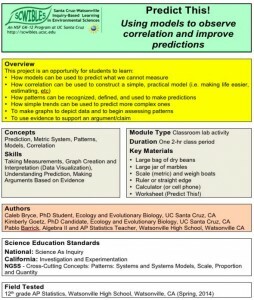 Using their model, they predict the number of beans based on a given mass. 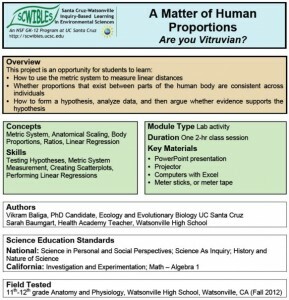 The students are asked to create their own model for estimating the number of marbles in a large jar. 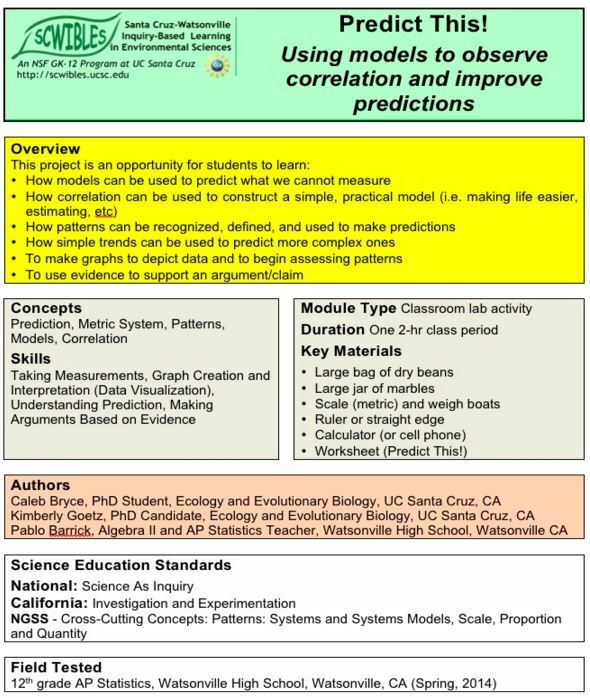 Students learn: 1) How to make graphs to depict data and to assess patterns; 2) How correlation can be used to construct a practical model; 3) How to use a model to predict what can not be easily measured; and 4) How to use evidence to support an argument. Some satellites “hover” over one place on the earth’s surface – a geosynchronous orbit. 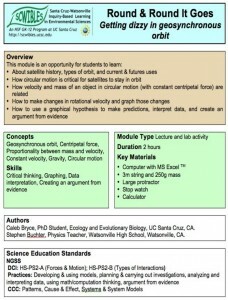 This module introduces students to the physics behind geosynchronous orbits. 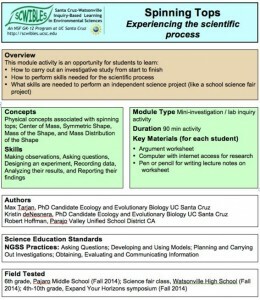 Students work together to find the relationship between the radius and the velocity of an object in circular motion. 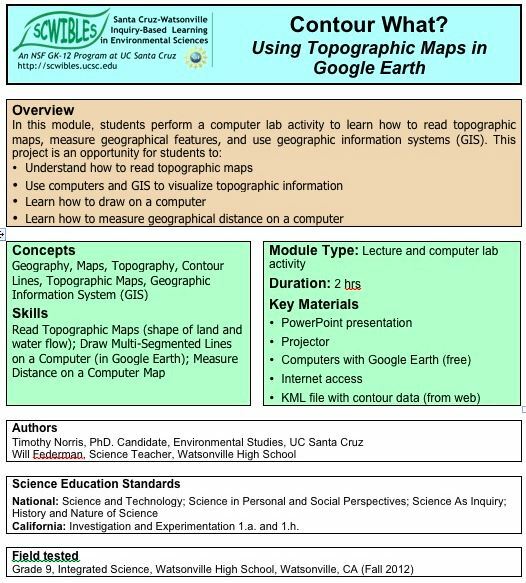 They graph their data and calculate the gravitational force needed to keep a satellite in geosynchronous orbit. 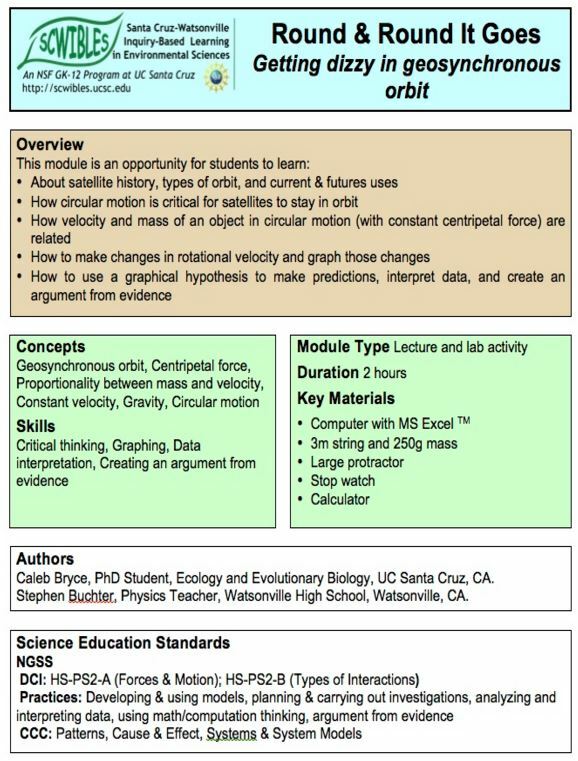 Students learn: 1) How circular motion is critical for satellites to stay in orbit, 2) How velocity and mass of an object in circular motion are related, and 4) How to use a graphical hypothesis to make predictions, interpret data, and create an argument from evidence. 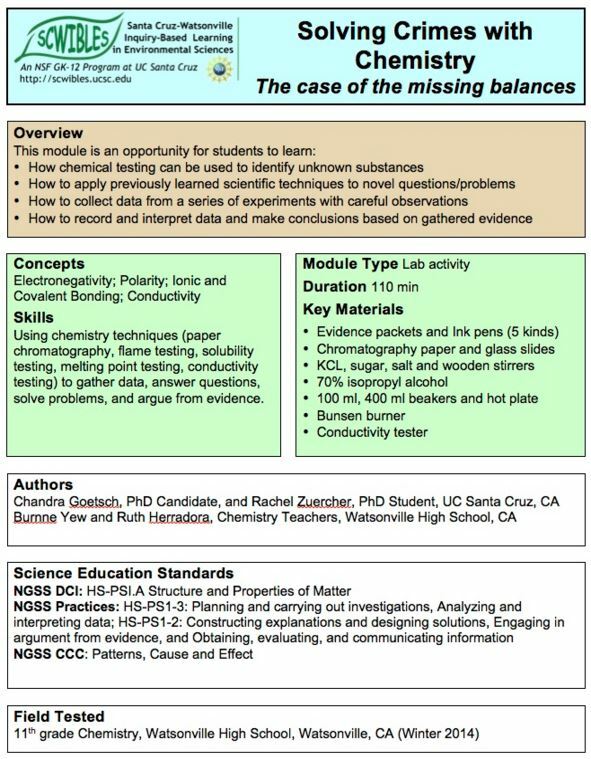 Independently planning and conducting investigations can be a daunting process for students. 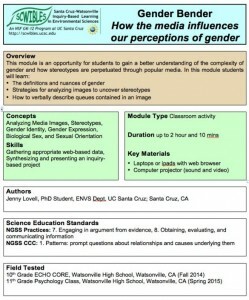 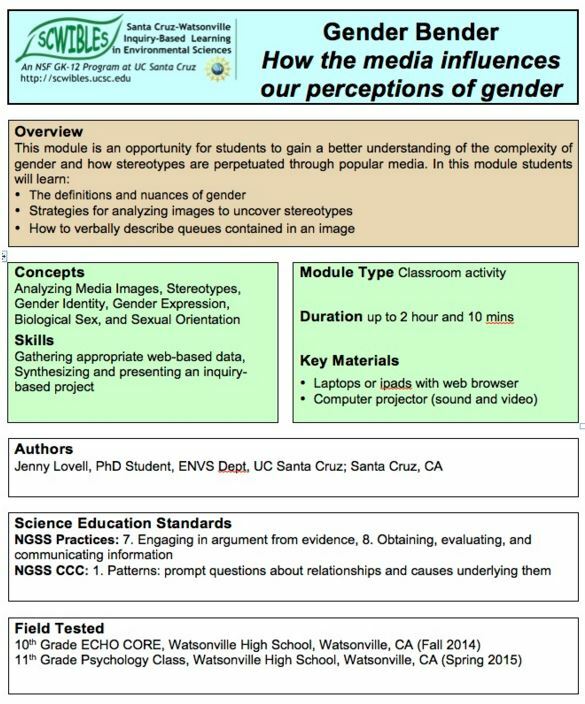 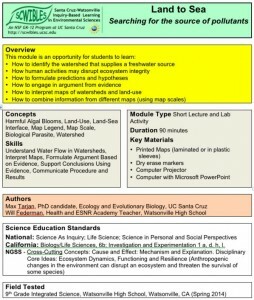 This module prepares students to carry out a study from beginning to end and to experience the feeling of ownership that makse the process more exciting. 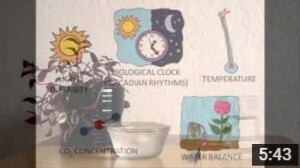 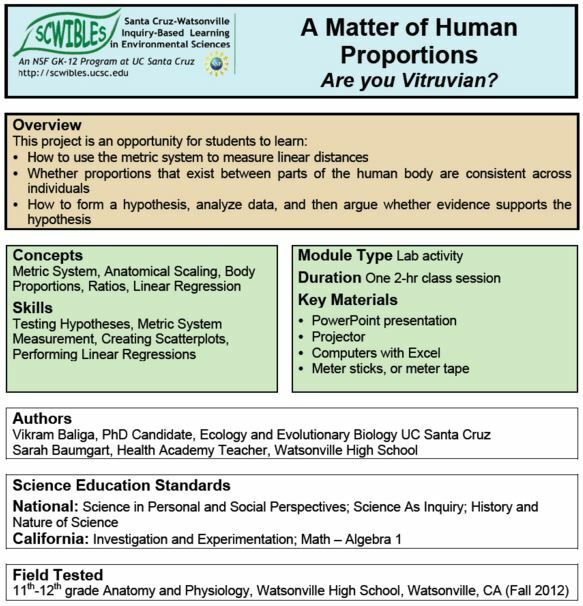 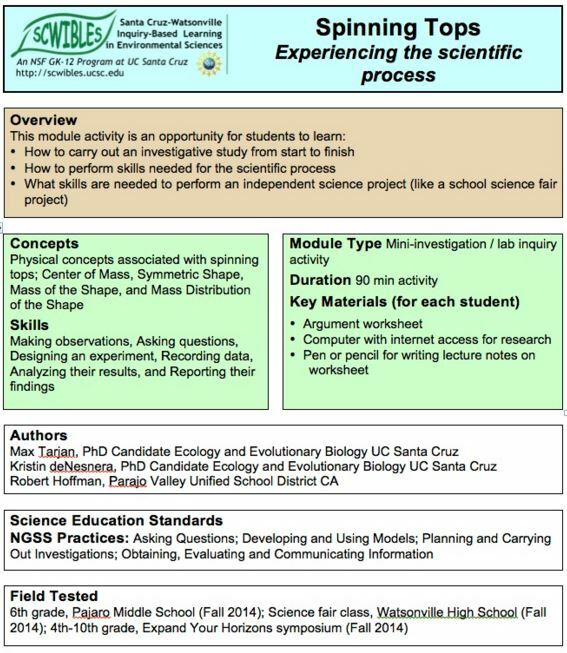 For students who are considering doing a science fair project, this mini-module will give them a better sense of their responsibilities as a science fair participant. 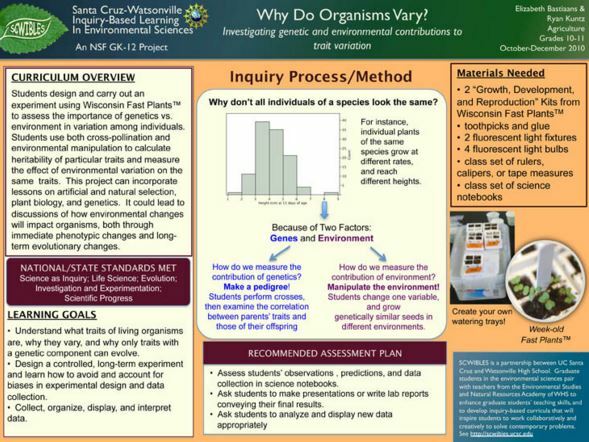 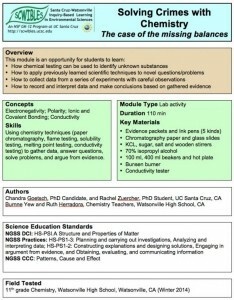 Students learn: 1) How to carry out an investigative study from start to finish, 2) How to perform skills needed for the scientific process and 3) What skills are needed to perform an independent science project (like a school science fair project). 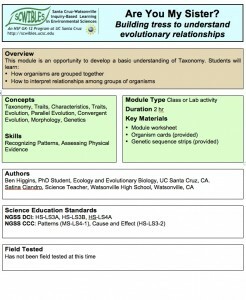 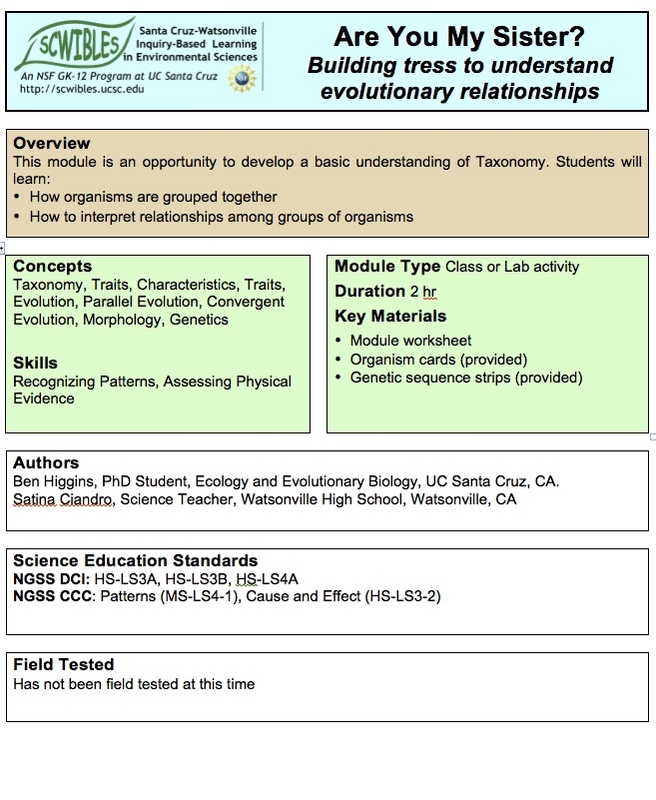 This module presents a “game” activity in which students learn about trophic cascades and how the different elements of a food chain interact. 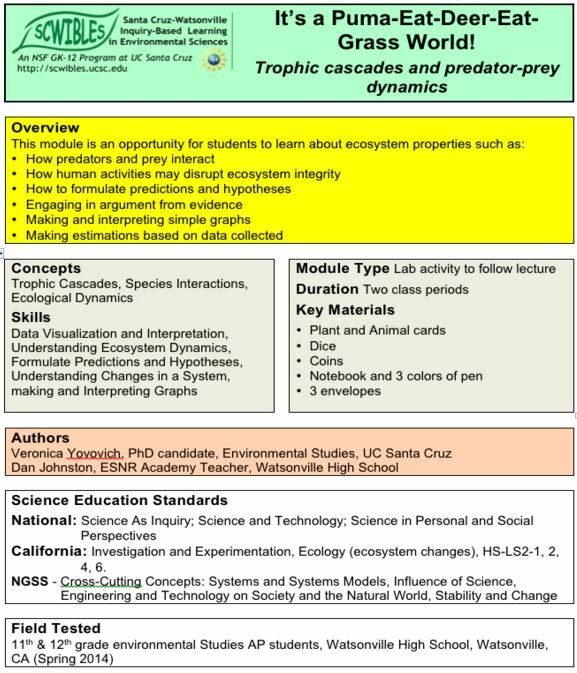 The module explores the importance of top-down regulation and how predators may regulate the habitats in which they live. 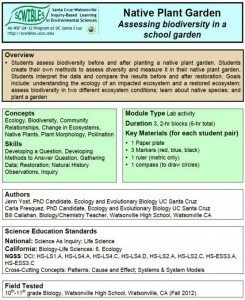 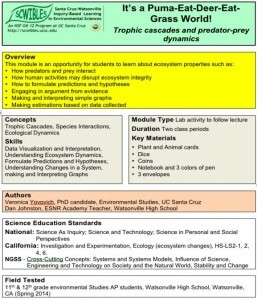 In this module, students learn: 1) How predators and prey interact, 2) How human activities may disrupt ecosystem integrity, 3) How to formulate predictions and hypotheses, 4) How to engage in argument from evidence, make and interpret simple graphs, and make estimates based on data they collect. 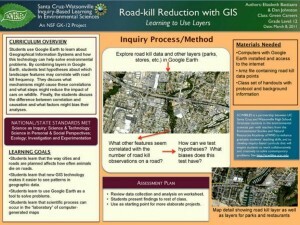 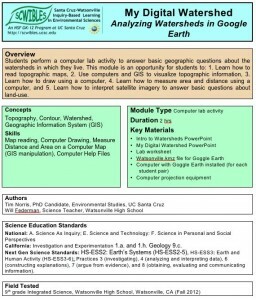 Students research California’s fresh water supply and demand with sets of printed maps. 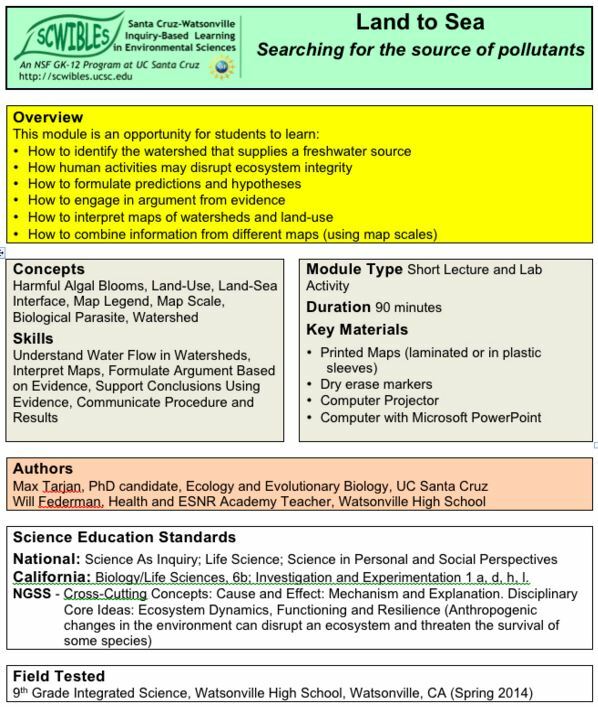 They then solve the “California Freshwater Puzzle” based on their new knowledge of the geographies of freshwater supply (sources) and demand (uses) in California. 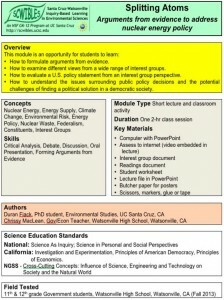 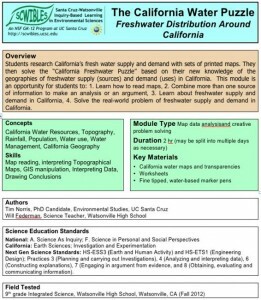 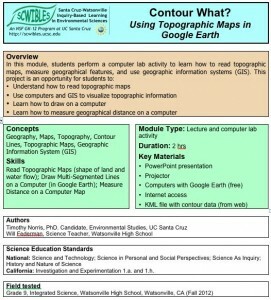 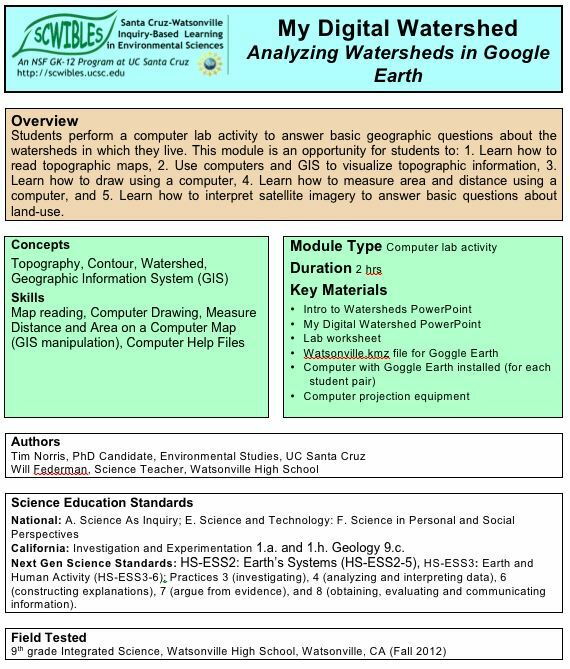 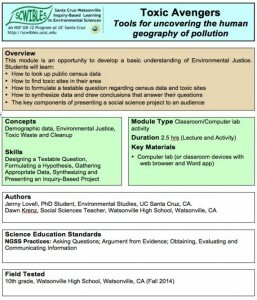 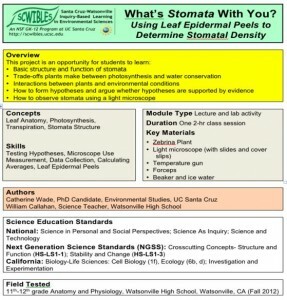 This module is an opportunity for students to: learn how to read different kinds of maps, combine more than one source of information to make an analysis or an argument, learn about freshwater supply and demand in California, and solve the real-world problem of freshwater supply and demand in California.